Chickasha Democratic Representative David Perryman thinks the cry of the oil and gas industry over raising the gross production tax is a case of “The Emperor’s New Clothes.” He used it to attack an Oklahoma City oilman and to plead for higher taxes on the industry. It’s what he claimed in a press release made this week through the Democratic Caucus of the State House of Representatives. He further charged a Securities and Exchange Commission filing made by Oklahoma City-based Continental Resources Inc., the firm owned by billionaire Harold Hamm, shows the developer has not drilled a dry hole since 2014. Perryman cited the SEC Form 10-K filing. 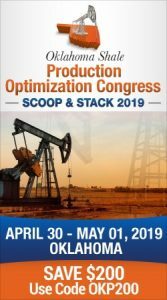 “That same SEC filing shows that Continental’s production cost in Oklahoma $1.00 to $1.13 per barrel of oil equivalent) is less than 25% of its production cost in North Dakota ($4.59) even before North Dakota’s 10% gross production tax is taken into account,” said Perryman. The Democratic lawmaker concluded it would appear Oklahoma’s “lucrative” tax breaks and “generosity” would guarantee the industry would spend its operations budget in Oklahoma. “However, according to page 66 of Continental’s SEC filing, it will increase operations in North Dakota and decrease its operations in Oklahoma in 2017—formally debunking the fallacy that a low GPT will guarantee economic prosperity for Oklahoma,” he said. Rep. Perryman says Oklahomans were tricked into believing the gross production tax needs to be 2% instead of the historical rate of 7%. 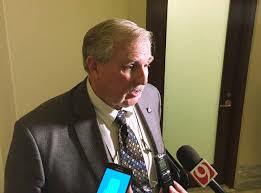 He said the rate was “cut to the bone by elected leaders who were wined, dined and donated to by an industry whose insatiable desire for obscene profits deprives Oklahoma’s children of an education and leaves roads in a dangerous state of disrepair.